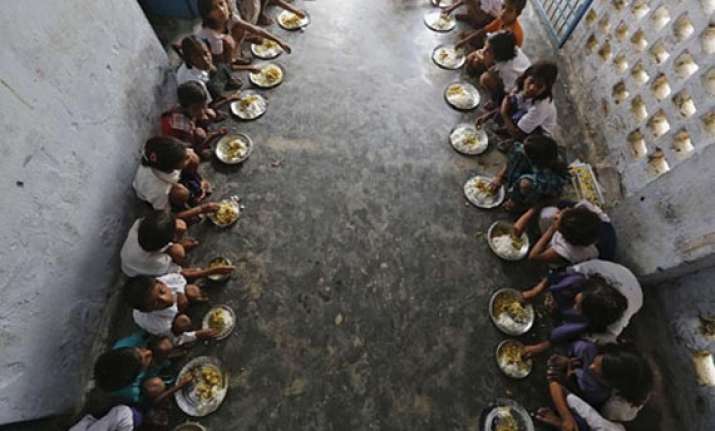 New Delhi, Jul 30 : The midday meal samples of North Delhi Municipal Corporation have once again failed to pass the calorie and protein test, four months after the problem was first discovered. According to information made available to the Standing Committee on Monday, only six out of 36 samples passed the test for requisite amount of protein in the midday meal served to primary school children. Also, in terms of calories, only three out of 36 samples were found to be fit. Three NGOs provide midday meal to school children in NDMC areas, namely Surya Charitable Welfare Society, Maitri Research and Development Foundation and Strishakti. Over four lakh students from 765 primary and 19 nursery schools are served the food everyday. When asked what is being done to rectify the situation, the education department told the Committee members that a letter requesting further direction on the matter has been sent to the Delhi government. "The directorate of education, Delhi government is the nodal agency in this regard and we have written a letter to them pointing out the deficiencies and asked for directions in the matter," the reply stated. In March, it was found that only seven out of 80 samples of midday meal samples in the past one year passed the minimum requirements for both adequate protein and calorie content. Even then, the North Corporation had been assured that efforts were being made to address the situation. "The government is working to improve the menu and as soon as we receive the guidelines in the case, we will implement them," Commissioner PK Gupta had said.